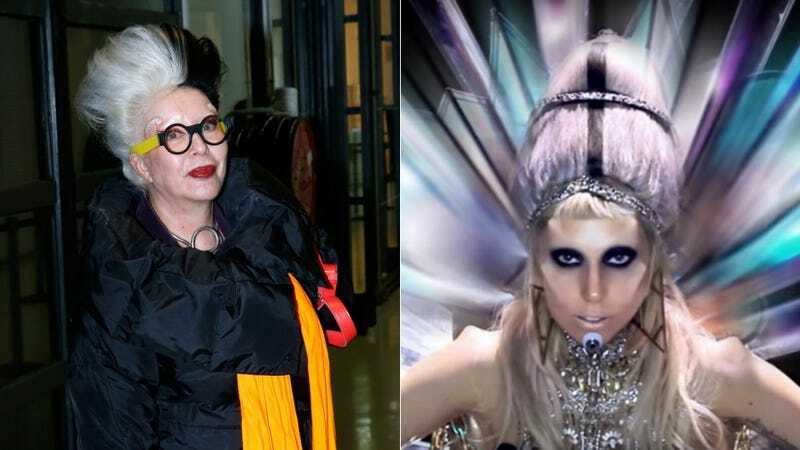 French artist Orlan, who’s suing Lady Gaga for allegedly plagiarizing her style in the “Born This Way” video, is seeking to subpoena the pop star’s creative team. The lawsuit—originally filed in Paris—dates back to 2013 and seeks 7.5 percent of the profits from Gaga’s Born This Way album, an amount that totals $31.7 million. Lawyers for Orlan (born Mireille Porte) intend to depose fashion guru Nicola Formichetti and makeup artist Billy Brasfield about the inspiration behind the bizarre lumps seen on Gaga’s forehead and cheekbones in the video and single cover. Orlan’s lawyers requested subpoenas in court on Wednesday in New York. Gaga previously faced a plagiarism lawsuit for another Born This Way track, “Judas,” from a singer who claimed Gaga stole her 1999 track “Juda.” The suit was later dismissed.